The trading price for International Consolidated Airlns Grp SA with company EPIC: LON:IAG has risen 1.28% or 8.6 points during the course of today’s session. Investors seem confident throughout the session. The high for the period has peaked at 686 dipping to 672.8. The total volume traded comes to 4,538,222 with the daily average traded share volume around 8,293,931. The 52 week high is 727 amounting to 52.6 points in difference on the previous days close and a 52 week low being 569 is a variance of 105.4 points. International Consolidated Airlns Grp SA now has a 20 SMA at 688.94 and now its 50 day moving average now at 695.89. Market capitalisation is now £13,694.20m at the time of this report. The share price is in GBX. Mcap is measured in GBP. This article was written with the last trade for International Consolidated Airlns Grp SA being recorded at Tuesday, July 17, 2018 at 4:35:25 PM GMT with the stock price trading at 683 GBX. 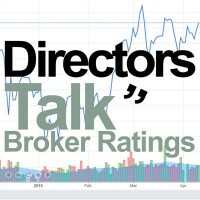 The stock price for Intertek Group plc with EPIC code: LON:ITRK has gained 1.88% or 108 points in today’s trading session. Buyers have held a positive outlook during the trading session. The high for the period has peaked at 5866 dipping to 5754. The total volume of shares exchanged through this period comes to 614,532 with the daily average traded share volume around 418,664. The 52 week high for the shares is 5870 amounting to 112 points difference from the previous days close and putting the 52 week low at 4176 which is a variance of 1582 points. Intertek Group plc now has a 20 SMA at 5705.7 and now a 50 day MA at 5555.1. The market capitalisation is now £9,473.90m at the time of this report. The share price is in GBX. Mcap is measured in GBP. This article was written with the last trade for Intertek Group plc being recorded at Tuesday, July 17, 2018 at 4:35:23 PM GMT with the stock price trading at 5866 GBX. 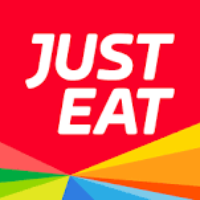 The share price for Just Eat PLC EPIC code: LON:JE has moved up 2.74% or 23.2 points during the course of today’s session. Buyers have remained positive throughout the session. The period high was 872 meanwhile the session low reached 843.4. Volume total for shares traded during this period was 7,056,122 whilst the daily average number of shares exchanged is just 3,982,538. The 52 week high for the shares is 906 amounting to 58.2 points different to the previous business close and a 52 week low sitting at 596 a difference of some 251.8 points. Just Eat PLC has a 20 SMA of 822.36 and now the 50 day moving average of 832.32. The current market capitalisation is £5,877.14m at the time of this report. The stock is traded in GBX. Mcap is measured in GBP. This article was written with the last trade for Just Eat PLC being recorded at Tuesday, July 17, 2018 at 4:35:35 PM GMT with the stock price trading at 871 GBX. The share price for Kingfisher plc ticker code: LON:KGF has stepped up 1.24% or 3.8 points throughout today’s trading session. Buyers seem confident while the stock has been in play. Range high for the period has seen 310 dropping as low as 305.8. The total volume traded comes to 4,358,787 with the average number of shares traded daily being 9,982,266. The 52 week high price for the shares is 366 some 60.6 points difference from the previous days close and putting the 52 week low at 277.3 a difference of some 28.1 points. Kingfisher plc now has a 20 SMA at 302.58 with a 50 day simple moving average now of 303.66. The current market capitalisation is £6,663.24m at the time of this report. The currency for this stock is GBX. Market cap is measured in GBP. This article was written with the last trade for Kingfisher plc being recorded at Tuesday, July 17, 2018 at 4:35:07 PM GMT with the stock price trading at 309.2 GBX. 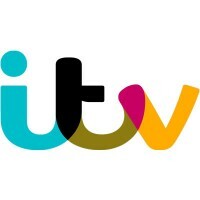 Click IAG ITRK JE KGF for the full archive.